Arsenal need to win to keep control of their own destiny in the hunt for Champions League football. Wigan need to win to avoid being relegated to the Championship. There is truly everything to play for on both sides. 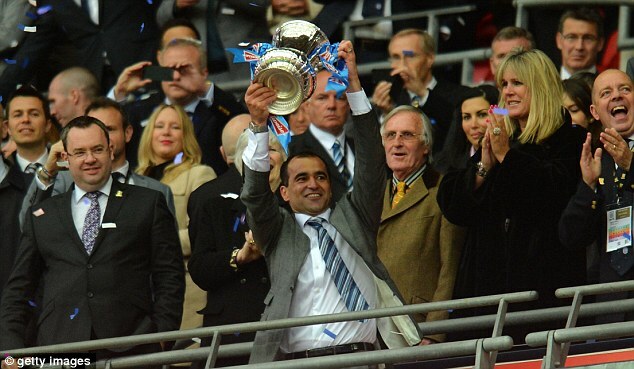 Congratulations to Roberto Martinez and Wigan Athletic on winning the FA Cup this weekend. The Latics had only Sunday and Monday to rest before this match; Arsenal have had nine days off since beating QPR. Will this play into the hands of rested Arsenal or post-silverware high Wigan? So, who feels the most pressure? CURRENT ODDS: Arsenal 56.6% chance of finishing Top 4 (Spurs at 43.7%, Chelsea 99.7%). Odds of Wigan being relegated are 93.3%. IF ARSENAL WINS: Odds of finishing Top 4 improve to 74.2%, Spurs drop to 26.2%, Wigan are mathematically relegated. IF WIGAN WINS: Odds of finishing Top 4 drop to 23.1%, Spurs improve to 76.9%, Wigan odds of relegation improve to 49.2% (since they play Aston Villa next week). IF THEY DRAW: Odds of finishing Top 4 drop to 27.4%, Spurs improve to 72.6%, Wigan can only avoid relegation with a win Sunday and a massive goal difference swing with Sunderland. All odds via Sports Club Stats, as always. Had to be different, didn't you, Ox? Olivier Giroud will serve the final game of his three match ban, meaning I do not suspect other changes to the XI. Maybe Jack Wilshere comes in for Tomas Rosicky, though with today's news that Jack requires minor surgery, that seems doubtful. Jean Beausejour is a doubt after a hamstring pull kept him out of the final. He was playing in place of the injured Antolin Alcaraz, who has returned from a hamstring pull of his own anyway. Roberto Martinez called Beausejour's injury "usually 10 days" at the time, which was 10 days ago. As for Wigan's long term injuries, the Latics are without Maynor Figueroa, Albert Crusat, Ronnie Stam, Ivan Ramis, and Mike Pollitt. Goalkeeper Ali Al-Habsi, who has frustrated Arsenal so much in the past, has played once since the beginning of March, having been dropped for Joel Robles (who just goes by Joel, which is absurd) who is on loan from Atletico Madrid. 89 minutes and 40 seconds at QPR. It has been over a month now (April 13) since Arsenal have scored more than once in a given game (that was the 3-1 win over Norwich, in which Arsenal left it very late to score all three.) They have played just four matches since then and have not lost, drawing Everton 0-0 and Manchester United 1-1, while beating Fulham and QPR 1-0 each. Four matches, three goals, no losses. That's certainly a bit strange. This came after the Norwich match was the fifth straight game in which Arsenal had scored multiple goals (2-0 at Bayern, 2-0 at Swansea, 4-1 over Reading, 2-1 at West Brom, then 3-1 over Norwich.) All in all, the Gunners are unbeaten in nine since losing the North London derby on March 3. Sure, you could look at the standings and think if Arsenal had won that game, they'd have a top four finish locked up by now. Then again, if they're not put under that pressure, who's to say they would've gone on the same streak? This is Arsenal's longest unbeaten streak since opening the year unbeaten in seven after ending last year unbeaten in four (so that was an 11 match streak spanning both seasons.) They also had a 10 match unbeaten streak within last season, in October-November. As for Wigan, their FA Cup victory should be congratulated, but as for their season as a whole, there's a reason they're facing relegation with a loss. Wigan have one win from their last six league matches (the 3-2 win against a West Brom team with nothing to play for on May 4.) The Latics have been in 18th place since the beginning of April, when a 1-1 draw at QPR sent them into the drop zone. Then again, Wigan have pulled off some stunning results this season (as they always seem to): most notably, they've taken four of six points from Spurs this season. So really, as of right now, you can thank Wigan for the fact that Arsenal controls their own destiny. Let's hope we're not cursing them tomorrow. The prospect of playing Wigan in April or May is always a bit daunting; they've always managed a great escape in each of the last few seasons. Tonight, however, they are really behind the eight ball; this is probably the closest brush with relegation they've had in their run of constantly surviving at the last minute. Arsenal know of Wigan's late season abilities quite well: Wigan beat them 3-2 in April of 2010, scoring all three after the 80th minute, and 2-1 at the Emirates last April. Arsenal won the reverse fixture 1-0 at the DW Stadium shortly before Christmas. Arsenal's lone goal in that match came from a Mikel Arteta penalty just after the hour mark, after Beausejour fouled Theo Walcott in the box. I recall the foul being fairly borderline. As for this match last year, it was one to forget. Arteta picked up an injury in the early going and while Arsenal were scrambling to sort themselves out without the midfielder, Wigan scored twice in 94 seconds. Franco di Santo scored in the seventh minute and Jordi Gomez scored in the eighth minute against ten man Arsenal, as Arteta was on the touchline receiving treatment. 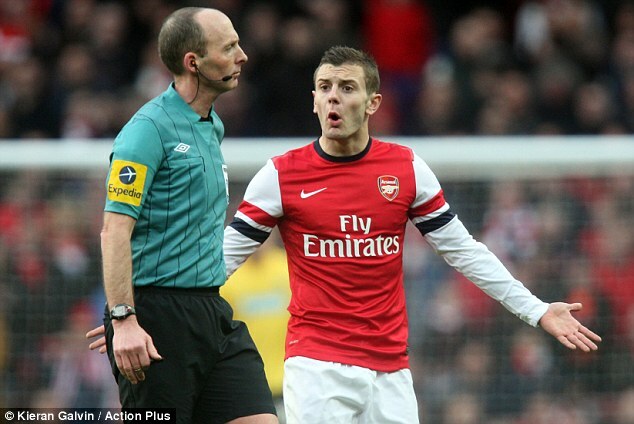 He was replaced by Aaron Ramsey in the ninth minute. Thomas Vermaelen pulled Arsenal back within one in the 21st, but the equalizer never came. Areta's injury ended his season and the Gunners went on to win once over their final four matches, drawing the other three. Wigan have only seen Dean once this year; they lost 4-1 to Chelsea at Stamford Bridge in February. Wigan split four matches with Dean as the referee (two wins, two losses) last season.